Thais don't normally follow western ways; by giving gifts of flowers. Many of the flower stalls that you will see, are specifically for the sale of flowers used as offerings at the nearest temple.. 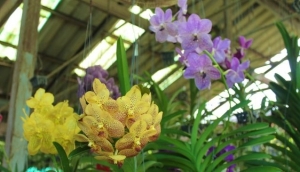 Despite this, there are interflora shops , gift and orchid sellers who will assist the tourist in their search for a suitable souvenir to take home to loved ones.